Resources to help integrate integrity into every classroom, every day. Building SEL (social and emotional learning) skills such as integrity requires face-to-face interaction, meaningful discussion, and reflection. Edtech is no complete substitute for that, but there are tools that can supplement the development of character, both in the classroom and at home. Besides speaking the truth and acting in a sincere way, integrity is treating people equally and taking responsibility for your feelings and actions. While some tools focus specifically on integrity, many websites and apps you use daily (in all subjects) can be used to promote responsibility and honesty. In other words, you don't have to stop using the tools you love or toss out your lesson or curricular plans to start developing SEL. Below are tips, tools, and actionable ideas for seamlessly integrating integrity and life skills-building into your content classroom. With digital technology amplifying social interaction and expression, it's more important than ever to promote, practice, and model integrity in our classrooms. As role models, teachers have an enormous obligation to do what's right. When we fail -- as in the widely publicized case of Atlanta teachers committing academic fraud to cope with high-stakes testing -- there can be harsh consequences for ourselves, our students, and our communities. Integrity, of course, extends beyond cheating on tests. It includes taking responsibility for your actions, respecting others, and having the courage to stand up for what's right. We practice these skills so that students' actions will be consistent with their beliefs and so they'll be able to listen to others' feelings and concerns without judgment. We inspire integrity in our classrooms because we want our future leaders to make honest, brave decisions that push us ever forward. Applaud students for taking action with regard to their values and principles -- especially when no one is watching. Model integrity through your own actions, and hold yourself accountable for mistakes. Take a stand against cyberbullying. See our free Cyberbullying Toolkit for Educators for helpful tips and resources. Make sure the technology you use doesn't take the place of -- but instead supplements -- face-to-face interaction. Using our Digital Citizenship Curriculum? Both our student interactives and lessons already foster key SEL skills. Check out other excellent SEL resources, including CASEL, Character Lab, Edutopia, and Ashoka. Think about the digital tools you're already using in the classroom. Can you find a creative way to use them to model integrity? Check out our suggestions below! See our Top Tools for Inspiring Integrity list for more integrity-focused tools. This web-based program teaches kids the skills needed to develop SEL competencies, including self-management, empathy, gratitude, and integrity. Through whole-group instruction and small-group discussion, kids transfer the skills they learn into everyday life. This anonymous reporting tool allows students to take action against bullying. Develop and demonstrate a plan that shows students when and why they should report bullying and how integrity means making tough choices. Use this platform to help groups of students mark up and discuss text. Create an assignment in which students are asked to provide honest feedback on their peers' personal work, and model how to annotate with respect to different ideas and beliefs. Have students turn in their assignments on this site that detects plagiarism and improper citation. Discuss the importance of originality and giving credit to others, and have students give helpful feedback on one another's work with PeerMark. Kids will use mental math in this pizza-shop sim to learn about economics. Teachers can run daily sales-goals contests in which students can talk about some of the math decisions that arise when you're trying to make a profitable but principled business. In this budgeting game, students choose which bills are right for the country, levy taxes, and spend reserves. After getting the math, students can research the current budget and create a responsible platform that supports spending bills. Students can take action toward actual scientific missions by sharing images and locations of organisms. By picking missions they believe in and uploading quality data, students can see how their work might help scientists solve real problems. MSIP gets students involved in NASA's imaging work. Students learn the responsibility of truthful, reliable research when they chat with actual NASA scientists and when they upload their own research results to NASA's database. With the ClassPals feature, students can connect with other classes around the world through images and text. As you learn about another culture, have students self-assess whether they're showing global responsibility by portraying themselves honestly and authentically. This news- and media-literacy learning platform gives kids some critical tools to evaluate the credibility of information they come across. Have students use the check tool to evaluate a source's integrity before writing a paper or researching a topic. Use Google Classroom to manage workflow and show kids that transparency and efficiency are key components to academic responsibility. Ask polling questions and foster rich discussions, and have honest discussions about how to treat each other equally online. With Remind, teachers can give due-date reminders right on students' phones. Challenge students to show integrity by owning up to missed deadlines and using the two-way messaging service to give real explanations. Explore our Movies That Inspire Integrity and TV That Inspires Integrity lists to share with parents. Parent questions? Point them toward our Character Strengths and Life Skills page for answers. 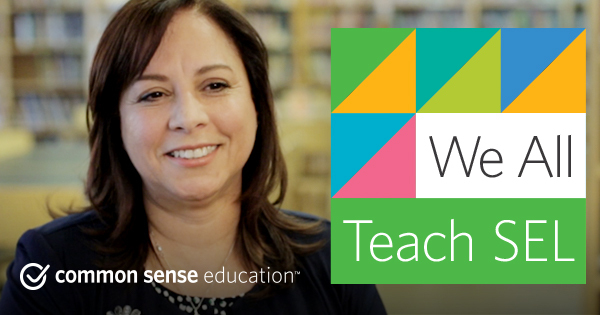 Explore more SEL tips, tools, and teaching strategies.